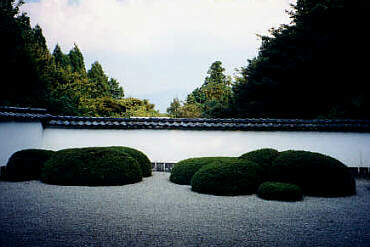 The Shoden-ji temple is a famous example of the "Shakkei"(borrowed scenery) technique for Japanese gardens. The wall blocks out the city and gives a distant view with Mt. Hiei - if it's not too misty.